College marks a significant transition period for many young adults — it’s a time of newfound freedom and the financial responsibilities that come with it. Before you build a budget, go over some important details with the people — parents, guardians or a partner — who will be involved in financing your education. Discussing your situation together will ensure everyone is in the loop and understands expectations. Who is paying for college and how. 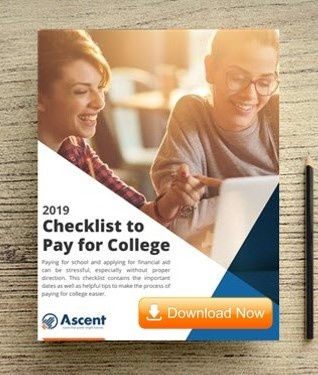 Have a conversation before the start of each school year to decide if your family will pay for costs out-of-pocket or if you’ll need to get a job, rely on financial aid, use funds from a 529 plan or combine these options. Credit cards and bank accounts. If you’re considering opening a credit card account for the first time, are younger than 21 and don’t work full time, you’ll need a co-signer: a parent or other adult. You’ll want to talk about ground rules, like only using a credit card for emergencies and defining what constitutes an emergency. Approach new financial products with caution and be careful not to take on debt. If you plan to directly deposit funds from a job or allowance, look for a checking account that offers low (or no) fees. Textbooks and school supplies. Course materials could eat up a large chunk of your budget. The average estimated cost of books and supplies for in-state students living on campus at public four-year institutions in 2016-2017 was $1,250, according to the College Board. Also plan for purchases like notebooks, a laptop, a printer and a backpack, and read the do’s and don’ts of back-to-school shopping for money-saving tips. Room and board. When it comes to food and living arrangements, weigh your options. Compare the cost of living on campus and getting a meal plan versus renting an apartment and shopping for groceries. Transportation. Will you take a bus, bike or walk to and from campus or work? If you absolutely need a car, be prepared to cover gas, maintenance and insurance. Clothing. Budget for seasonal clothing and job-fair outfits. Discretionary spending. You deserve a break from studying. Leave room in your budget for fun stuff like entertainment, travel and social activities. The basic principles of budgeting, like living below your means, still apply regardless of the source of your funds. Whether you’re working or receiving help from your parents or financial aid — or all of the above — figure out how much money flows in and out. You don’t have to go through a grueling process, like filling out a spreadsheet every day; you’ll have enough homework. Just set aside some time at least once a month to review your money situation. Budgeting apps and online banking can help make the process more manageable. “Just knowing that you can log into your online banking and take inventory of what you have and the income coming in, I think that’s more than enough,” Hogan says. Once you start to monitor spending, you can decide where to save money. Identify your needs and wants and reduce spending on things that aren’t essential. » MORE: Should you spend, save or invest your graduation gift? If you’ve managed to stay afloat as a student, you’re in good shape. Continue on a financially healthy path by thinking about life after graduation. If you’re working and able to build a cushion, set financial goals, like creating an emergency fund or saving for a trip — and don’t forget about any student loans you might have to pay off after graduation. “You obviously don’t want to burden yourself so much that you have anxiety about it while you’re in college, but I think having a healthy grasp of reality … is helpful in terms of knowing what kind of lifestyle you can really afford to live in college,” says Kyle Moore, a certified financial planner in St. Paul, Minnesota. Lauren Schwahn is a staff writer at NerdWallet, a personal finance website. Email: [email protected]. Twitter: @lauren_schwahn. The article Budgeting for College Students: Where to Start originally appeared on NerdWallet.